Hi there, it’s Monday so that means that there’s a new sketch challenge at From the Heart Stamps – here it is below. Why not play along? The challenge rules are HERE but you get a $1 credit to spend in store just for taking part as long as you use a FTHS image! I aimed to use the twist element of this week’s sketch by using lots of white and adding colour with embellishments – I think I succeeded! 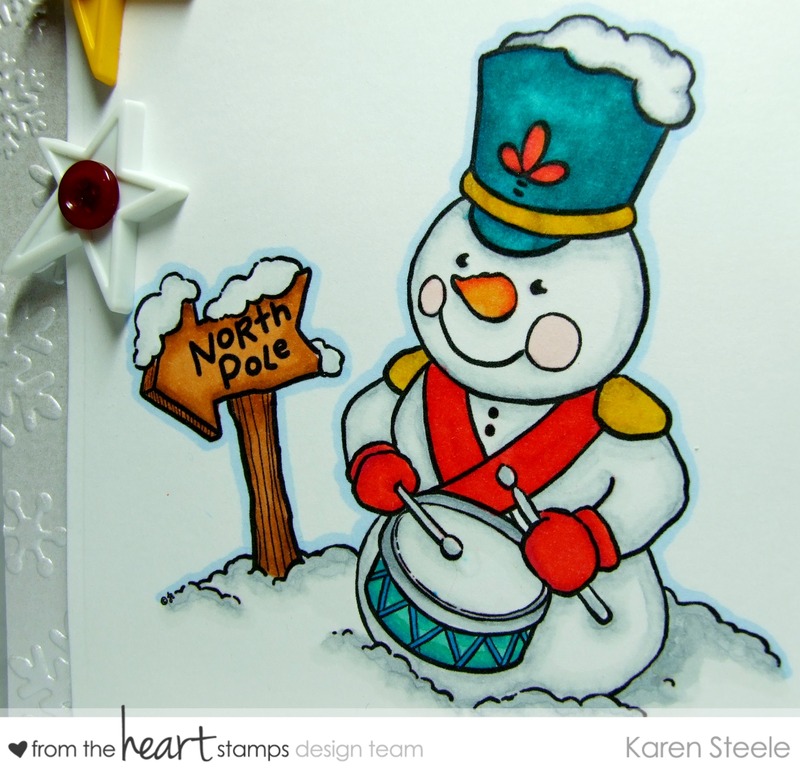 This image is called Snowman Drummer and is one of Faith’s Project 100 Snowmen so is only $1 in store at the moment! 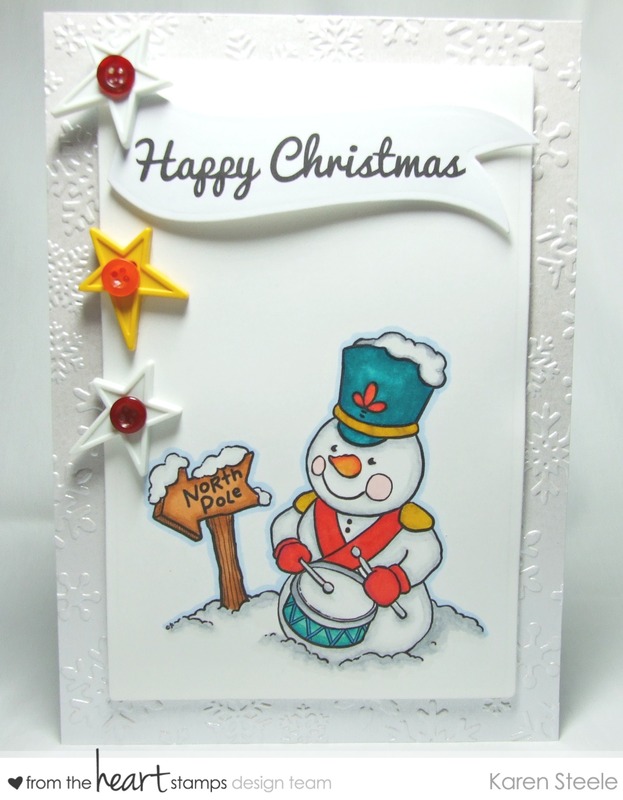 I also used Centura Pearl card, Kaisercraft Rectangle Die, Spellbinders Banner Die, X Cut Snowflake Embossing Folder, Buttons, Twine and Spectrum Noirs to colour. Oh, my goodness! You find the most darling snowman images…so CUTE!!! Love the stars and the pretty embossing, too! Super cute! Love the snowman and great design! Adorable! Love all the texture and the stars – I have those same ones sitting out for my card on Wednesday! Karen, I love all the white with the colorful pops from the snowman and start. Wonderful! I am loving your winter cards. Beautiful snowman! Great take on the sketch and lovely scene you have created here.